But, wait a minute! That is not 100%. What was missing? Well, here was the part that rather amazed me and the impetus that spurred my decision to rationalize and confirm the findings – that remaining block that makes me ME. These were the results as indicated by comparing my DNA makeup with that of hundreds of thousands (if not millions?) of other persons around the world who kindly submitted their DNA to provide the scientists with samples that could be tied to specific locations worldwide not just today but for hundreds of years through time. It is a complex study, one befitting a lengthy education in how DNA works and in making astute observations based on empirical evidence. When certain strands of DNA matches closely the same strands of others, the scientists plot the origin of those genes. They developed a matrix that is not dissimilar to what is used to determine parentage but which is far more complex and, honestly, a bit speculative in nature. For each person throughout time has inherited 50% of their DNA from one parent and 50% from the other. Thus, when a person has a great-grandmother, let’s say, who was Native American, that person MIGHT show up with DNA that confirms a 12.5% (1/8th birthright) bloodline tied to a specific tribe. That assumes, of course, the individual inherited that portion of their parent’s DNA that was the Native American bit and that strand had survived intact from the generations before. 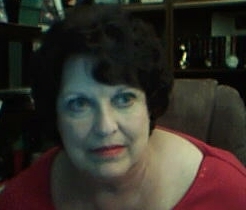 That part of tracking lineage is rather basic and much less complex than the worldwide study undertaken by Ancestry (and now other DNA testing groups) – that part that compares not a single family but a community of persons whose DNA has matching elements tied to a specific country or localized region of origin. The delineation of ancestors who are believed to have contributed this portion of my DNA will be discussed in next month’s column. Now on to the larger portion and my exploration of my genetic history. Who donated the DNA that, apparently, defines my ethnicity? Attempting to go about this in an orderly fashion, the first segment of ethnic origin to explore will be that large 38% segment identified as Ireland/Scotland/Wales. Ancestry offers a neat Search method when reviewing the DNA Shared Ancestor matches that show up on the DNA Home Page. One can search all Matches by Surname or by Birth Location. Tada! If only it were that easy, for as your author attempted this “easy” method of locating those birth locations she discovered the information may be buried within the trees of the Shared Match and oft-times is not readily apparent. Ah, well…let’s go with what we know. 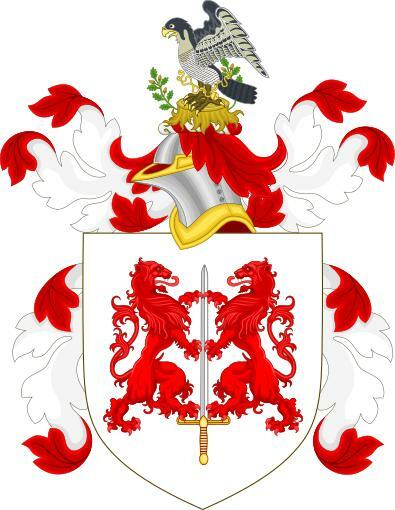 As a beginning, we have always known that our Carroll lineage derived from Ireland, “…the counties Cork and Kerry, my dearie” as my grandmother King was wont to say. Two declarations by my father come to mind: “The O’Carroll clan was Irish, the MacCarroll clan was of Scots descent” and “Remember when Charles Carroll of Carrollton signed the Declaration of Independence he added ‘of Carrollton’ because the Carrolls were already so numerous in Colonial America they had to distinguish themselves by location.” We were also admonished by Grandmother King on St. Patrick’s Day that no Protestant Irish EVER wore GREEN! (Horror of horrors!) but should be appropriately signified as ruling class by the wearing of ULSTER ORANGE. As a child I never understood this distinction and forever donned the green of the Leprechauns in honor of the day. Perhaps this is now a clue to go forward in my attempt to pin down the Carroll clan of my personal origin in good ole Ireland. Suppose? “The O'Cearbhaills were prominent in the Province of Leinster. There were six separate O'Carroll clans in Ireland, in Counties Kerry, Offaly, Monaghan, Tipperary, Leitrim and Louth. Carrolls of Northern origin descend from the MacCearbhaill clan who were located in Ulster particularly near the town of Derry. There is also a MacCarroll family (anglized to MacCarvill) from the province of Ulster. In 1014, after constant war and invasion by the Vikings, Brian Boru, High King of Ireland, enlisted a powerful army to fight them in battle at Clontarf. A division of Boru's army, the Eilians, was led by the Prince Cearbhaill of the Carroll race. Brian Boru's principal confessor throughout his reign was Maolsuthian O'Carroll, who never left his side. In 1005 Brian Boru visited Armagh and had O'Carroll write into the famouse 'Book of Armagh'. The Coat of Arms most associated with the Carroll name is on a silver shield two red lions combatant supporting a sword erect in pale proper in the dexter chief point a black cross flory, the Crest being on the stump of a tree a falcon rising billed proper charged on the breast with a black cross flory. When Joseph Alexander was about nine years of age, he and his brother accompanied their father to America. They came first to Northumberland County, Pennsylvania. Nothing is discovered concerning the father or the brother. 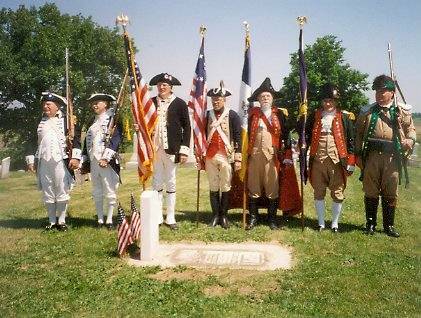 Much is known about our Joseph because of his distinguished service in the Revolutionary War. One of my earlier columns concerned his service as a Patriot. Many hardships were experienced by this family including the burning of their homestead in Pennsylvania by the Indians in one of the many uprisings, the capture of his son by the Indians (later released and reunited with his family after searching for their new location), and extensive battles in the effort to create a new and independent homeland. This is certainly an ancestor in whom to find great pride. Joseph Bullard’s birth place is unknown. He was born ~1732. It is reasonable to assume he and his siblings were Scots-Irish and migrated to the American colonies in the early to mid 1700’s from Northern Ireland. What is known is that Joseph Bullard was one of the early pioneers who settled in central North Carolina. He later migrated to the Watauga and Nolichucky River area located in eastern Tennessee sometime between 1775 and 1776. Joseph’s migration route into eastern Tennessee crossed over the Blue Ridge Mountains in western North Carolina. There is documentation that Joseph Bullard lived for a time in central North Carolina before migrating to eastern Tennessee. Joseph Bullard was a self made man, possibly an indentured servant , who made passage to America sometime around 1750. He was not a man of letters. He had no known privileged lineage. He was a man of humble origin. He was the quintessential frontiersman. It is well documented Joseph lived and fought alongside many well known military and pioneer leaders of eastern Tennessee. As this chronicle unfolds, it will attest to the fact that Joseph Bullard established himself among his peers as a courageous Indian fighter and Revolutionary War soldier. He ascended the ranks of the patriot militia on his strength of purpose and fortitude to protect his family and liberties. On many occasions, he demonstrated hardship and courage in the name of freedom and justice. He owned large tracts of land given to him through land grants bestowed upon veterans of the Revolutionary War. There is sufficient documented evidence and historical events surrounding Joseph Bullard’s life to chronicle a reasonable account of his life as a frontiersman and Indian fighter. Although Joseph is mentioned in many early eastern Tennessee court sessions and tax lists, neither fame nor notoriety is attached to his name. Yet, he is typical of the fiercely independent Scots-Irish pioneers who first settled in North Carolina and the great western wilderness west of the Appalachian Mountains. He not only was a witness to the formative years of the revolution, but also contributed greatly to the annals of American history. The research into the direct line ancestors by attempting to identify how they contributed to my ethnic diversity will be a long and arduous journey, but one that is fascinating to me. With nearly 14,000 names in my family tree at this point in time, it is truly a challenging effort. The fruits of my labour shall be the fodder for future columns in the hope that others may benefit from the effort. It is also an invitation for other family historians to contribute to the pool of knowledge. Looking forward to next month’s column which will continue this journey of discovery.